Order window will close on Friday 18th May 2018. Our club kit is coloured blue with red and white stripes. It is currently manufactured by Champion System. When representing the club, we would like you to wear club kit whenever possible. To be eligible for club competitions (Grand Prix / Championship / Cross Country) you must be wearing a club top. You do not need to wear kit for the handicap races. Go to the Champion System website. If you have NOT set up an account previously, select ‘Returning Customer’ and type in the club login details – the username is 26.2 and the password is 26.2kit. Once you have set up an account, you will be able to log in with your own details. Once created, you will see you can access the ‘Team Store’ page and then click on the ‘order now‘ option on the right hand side. NOTE – the option to ‘order now’ will NOT appear if the order window is currently closed. If you need to order kit and find the window is closed, please email kit [ at ] 26point2.co [ dot ] uk and register your interest. There are many different styles of kit available. Many members now have the new kit and you should start to see it making appearances at club nights and at races so this should help you gauge the look, feel and sizing of the kit. To give an idea of what is available we have put together a kit samples gallery. Please check this and speak to other club members to decide what you would like to purchase. Most items tend to have two or three options and vary in specification and price – please look around at the different options to find the one that meets your requirements. The full sizing guide can be found on the ordering website. Additionally, if you are unsure of your size, click on the ‘More Info’ box next to the kit you would like to order and this will take you to another page to explore sizing options. There are many size guides for each piece of kit which you can download and view as a PDF. It may help you if you measure your existing kit when laid down on a flat surface. The PDF sizing guide details this. Please note kit cannot be returned due to incorrect sizing choices. There are also child sizes available. Shipping costs are 5% of the order value – so shipping on a short sleeve top is a very reasonable £1. During the order, you will notice an option offered to you called ‘CS Vivid Upgrade’. This upgrade provides a night time reflective interweave to provide extra visibility. It is available for the kit should you wish but bear in mind this is an added cost of £18. What if you don’t currently have a club top and want to represent the club? 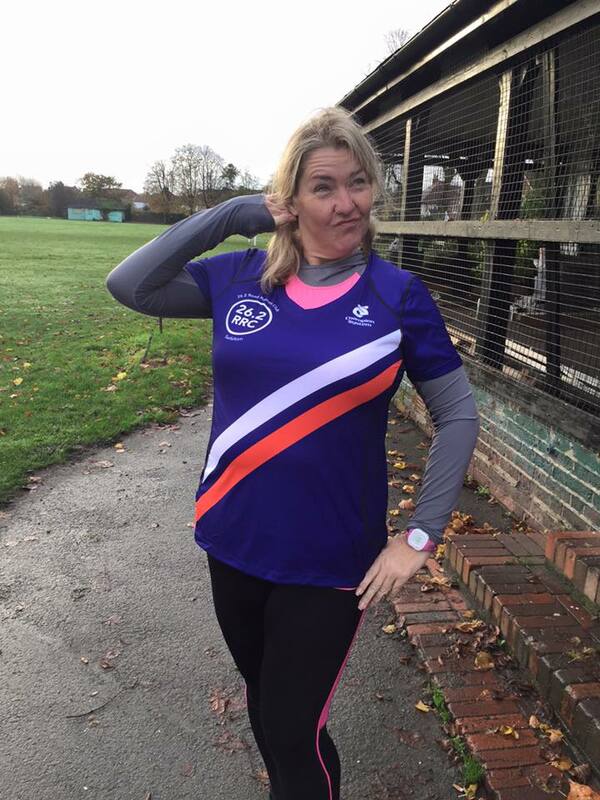 If you require a club top before the new kit is available, an unworn existing top can be loaned to you in order for you to represent the club in races. Please contact the club kit team on kit [ at ] 26point2.co [ dot ] uk to arrange this.